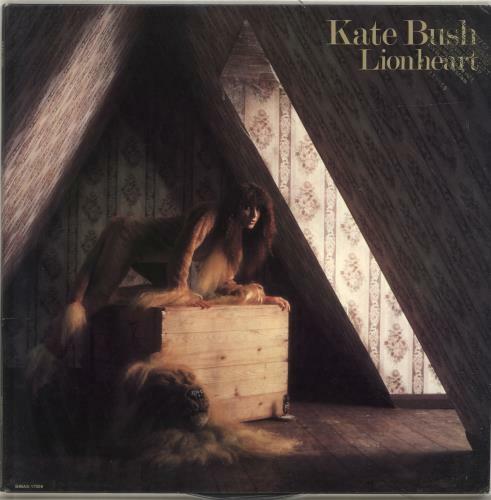 KATE BUSH Lionheart (1978 US 10-track advance issue vinyl LP with grey EMI Amerca labels, with the developing songstress delivering Symphony In Blue, In Search Of Peter Pan and Hammer Horror with instrumental input from Francis Monkman of Curved Air, gatefold picture sleeve with gold promo stamp in the top right front corner. The sleeve displays some general wear and the vinyl remains excellent with only a few light surface marks SMAS-17008). 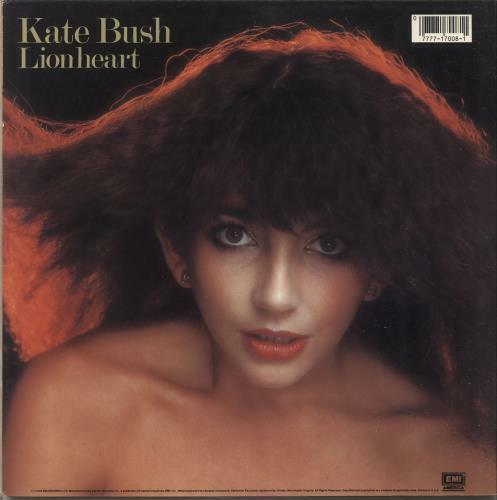 or visit our Kate Bush image gallery.